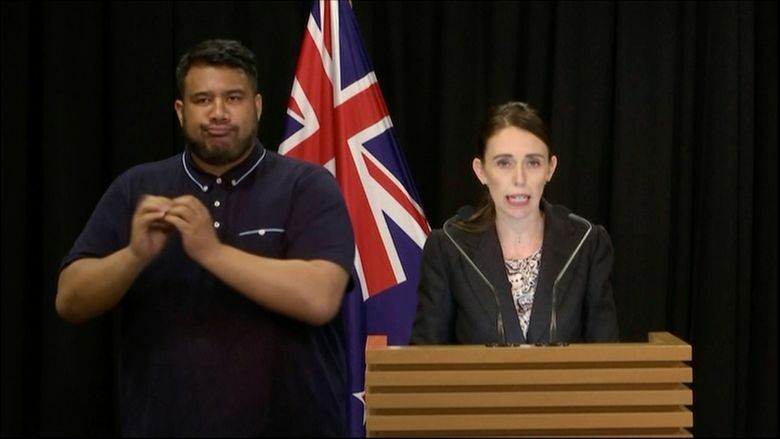 New Zealand is dealing with its gun problem — why can’t we? Contrast that with the United States, where just since 1970, more Americans have died from guns (1.45 million, including murders, suicides and accidents) than died in all the wars in U.S. history (1.4 million). More Americans die from guns every 10 weeks than died in the entire Afghanistan and Iraq wars combined, yet we still don’t have gun-safety rules as rigorous as New Zealand’s even before the mosques were attacked. The National Rifle Association (not to be confused with the vast majority of gun owners) will turn to its old smoke-and-mirrors standby, arguing that the killer’s hate, not his guns and bullets, were the real problem. Why can’t leaders in America learn from experience, the way leaders in other countries do? After a massacre in Australia in 1996, the government there took far-reaching action to tighten gun policy. In contrast, every day in America, another hundred people die from gun violence and 300 more are injured — and our president and Congress do nothing. It’s also true that there are no simple solutions. The U.S. now has more guns than people, so criminals have a steady supply — and so do ordinary Americans at a time when suicides are at a 30-year high. But gun laws do make a difference. When Connecticut tightened licensing laws in 1995, firearm homicide rates dropped by 40 percent. And when Missouri eased gun laws in 2007, gun homicide rates surged by 25 percent. Polls show some measures have broad backing. For starters, more than 90 percent even of gun owners support universal background checks to ensure that people are legally allowed to own a gun before they buy one. Astonishingly, about 22 percent of guns in the U.S. are still acquired without a background check. In parts of the U.S., you need a more thorough background check to adopt a dog than to acquire a semi-automatic AR-15 weapon. The House passed a bill last month to require universal background checks, but it has little chance in the Senate this year. Another basic step: Keep guns out of the hands of people shown to present a danger to themselves or others, such as when they are suicidal or threatening a domestic partner. Fourteen states have such “red flag” laws, and similar legislation is before Congress to achieve something similar at a national level. We should likewise invest more in “smart guns” that can be fired only by an authorized person; it’s outrageous that my phone requires a pin or fingerprint but that an AR-15 doesn’t. That would help with the estimated 200,000 guns stolen each year. The regulatory model to follow is automobiles. We haven’t outlawed cars, but we have required safety modifications (seat belts, air bags) and limited access to them (licenses, bans after drunken driving) in ways that have sharply reduced the fatality rate per miles driven. If we took this approach to guns, many Americans would still die. But experts have suggested to me that we could plausibly reduce gun deaths by about one-third, saving 13,000 lives a year. Slowly, the tide of public opinion is shifting. The NRA’s extremism is turning some people off, and it seems on the defensive, so eventually we may follow New Zealand. But how many more people will die before the president and Congress act? Nicholas D. Kristof is a regular columnist for The New York Times.